Manhattan, New York was where I happened to be born. After 6 months of stress, I boarded the first plane to Rio de Janeiro, Brazil, with my parents and sister. My primary and secondary school was not too far from Ipanema. My university years were spent in Paris, suffering as Psychology major (Institut de Psychologie). To make life less tedious, I ended up seeing an inordinate amount of films of all kinds next to the Sorbonne where I occasionally attended classes. After a B.A. in Psychology I majored in Film Studies at the Sorbonne – Paris 3, at the Institut d’Art et Archeologie (Eric Rohmer’s classes) and at the Cinemathèque Française (Henri Langlois’ classes). 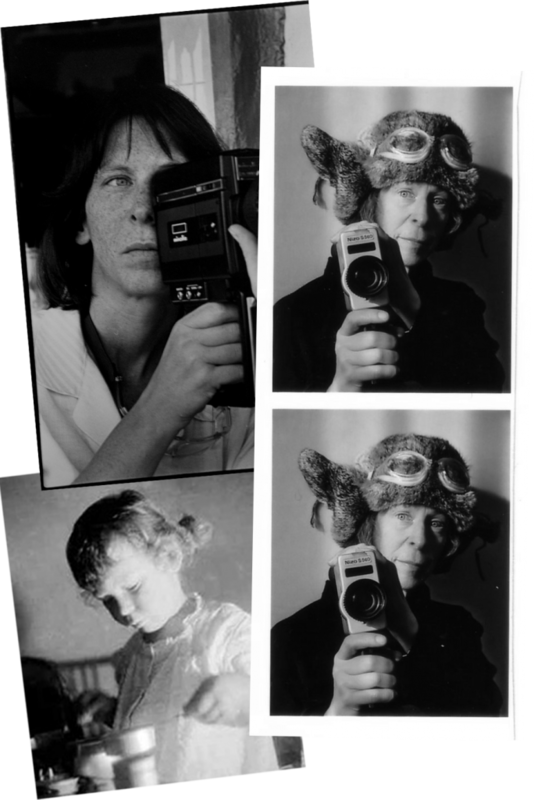 In the mid 70s I traveled throughout Europe with a friend, Rosine Grange, in a rundown Renault pick-up van, organizing women’s film festivals and distributing films made by women. Our distribution company was called Cine-Femmes International. My debut as an experimental filmmaker came in 1980, when I co-directed CAROLYN 2 with Martine Rousset (starring choreographer/dancer Carolyn Carlson). It was a multimedia film and slide installation. Many films came afterwards, mostly shot in super-8 then blown-up to 16mm. Today I shoot video but still use super-8 whenever possible. Sound has been and is always a vital part of my work. Installations consisting of multiple projections on different surfaces have been a new adventure. They are always site-specific, ephemeral works that are immersive and in dark spaces. I have presented them in Israel (Tel Aviv and Jerusalem), Portugal (Lisbon) and Austria (Graz) together with my collaborator Ruth Gadish. Simultaneously my film-related activities have expanded to curating programs for venues such as the Jerusalem Cinematheque. Intersections, a program of Avant-garde films and videos was initiated to introduce the public to cutting-edge works at the Jerusalem Film Festival every year. A competition for video art takes place yearly as well. The OFF Series is a year-round program of video art screenings films shown monthly at the Tel Aviv, Haifa and Jerusalem Cinematheques. Other venues I have programmed include the Ecole des Beaux Arts in Paris and the Escola de Artes Visuais Parque Lage in Rio de Janeiro. “Home” is wherever I feel at home – and that might be in a hotel or on a plane or on my way to an unknown destination with a camera and recorder in my bag. The quirky, poetic micro-events and rhythms of daily life have been central to her new take on old school experimental filmmaking. 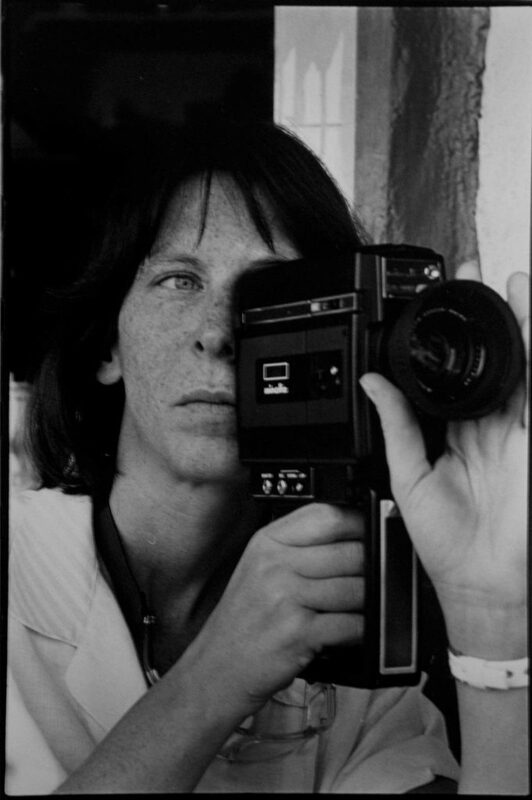 Her directorial expertise spans from uproarious and meditative fugues of footage found and shot, to longer-form inventive, often-personal documentaries and as well includes avant-garde portraits of artists and intellectuals and recently, immersive film installations. Ostrovsky’s films are trans temporal. Viewer’s are induced to feel these films vividly, as though they are somehow their own memories. Initially inspired by Jonas Mekas’s diary films, she cultivated an expert flaneur’s kino eye, however she moved on to develop this skill into a signature approach driven by editing. This shift was not made in order to emphasize chronology, content or structure so much as to ‘sculpt’ visual logic, which she amplifies with surprising sound effects, bits of vintage music and sometimes her own, soothing, confessional narration. Appropriations of and references to cinema history often imbue her projects with a unique dreamy playfulness and wistful nostalgia. Throughout her diverse portfolio Ostrovsky’s work is especially notable for its distinctive intimacy. All along, she’s been a devout cinephile and, while building her own maverick body of work, she has pro-actively supported the work of others, as a film distributor, festival organizer and programmer, as a curator, collector and sponsor. A champion of Brazilian art and film, currently Ostrovsky is spearheading a restoration project to conserve and remaster art film and video created before 1980. An artist and an artist’s artist, Ostrovsky has a reverence for the oldest and newest dimensions of filmmaking. Within and beyond all that, one best not overlook her irreverent, wry sense of humor, for that infuses all of the above.